we are not procrastinators. well, my husband is not a procrastinator. and we are one. So by default I am not a procrastinator. which leads me back to the fact that we are not procrastinators. so it beggars belief that we have been here almost a year, driving with our British licenses well aware of the fact that on February 11th our right to do so will come to a swift and sudden end. it seemed so far away. we planned to sort it all out in the summer. 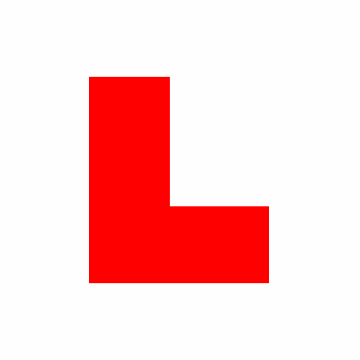 quite frankly i was hoping it would all go away and i wouldn’t have to go through the whole rigmarole of doing a written and practical driving test - again!! i mean honestly, i really think if it was a safety issue we shouldn’t be allowed to drive in other countries at all. why is it ok to drive even for a day on a foreign licence but not ok to do so after I’ve lived here for a year? i can confirm i was waaaay more dangerous in my first few months than i am now at the 1 year stage. just ask the driver that saw me headed towards him on his side of the road after i turned into the road...his heart must’ve churned a fresh batch of blood that day i tell ya! does this look like the face of a child with a maniac driver for a mum? i better start looking for deals cos like i said i’m not a procrastinator. with a chauffeur i could do this in the backseat of the car....license schmicence!